Massage therapy is a great treatment modality that provides a natural solution to pain and discomfort. It delivers a relaxing way to eliminate musculoskeletal stiffness and pain for many patients. 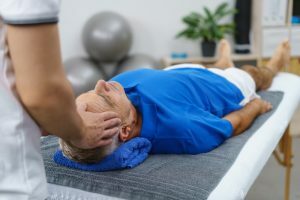 Our office offers a wide variety of particular massage therapy options that are customized to correspond with the patient’s condition and injury. Certain massage therapy benefits include: relieving muscle pain and muscle spasm, reducing swelling, increasing circulation, aiding in recovery and increasing your range of motion. Massage therapy improves circulation and therefore relieves muscle tension and pain. Improved circulation delivers oxygen and nutrients to the tissues of the body. Mobility and flexibility are often restored through a massage. The physical manipulation helps to clear waste products such as lactic acid and helps to reduce inflammation, pain and stiffness in the muscles and the joints. Massage therapy sessions can last from a half hour up to an hour and a half. Sessions can be customized and range from 45 minutes to an hour or more. The massage session will start with a consultation discussing your medical history and a brief review of your symptoms. The massage therapist typically begins with a light oil or lotion on their hands and then starts the massage. A full body massage starts on the back and then moves down to the legs. After those portions are completed, you will be asked to turn over so you are face up. The massage will continue on your arms, shoulders, neck, abdomen and your legs. You will be covered with a sheet at all times during the massage. The only portion that is uncovered is the part that is being treated in that particular time. After the massage is complete the massage therapist will leave you alone to get dressed in your room. 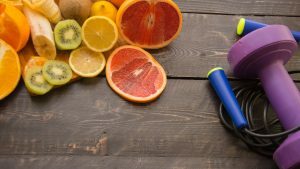 The staff at Arctic Chiropractic Rehabilitation and Physical Therapy is happy to offer you a structured nutritional program that is appropriate for your specific needs. We have numerous health food recommendations to discuss and offer a variety of nutritional supplements to further enhance our patient’s healing. If you are curious to which minerals and vitamins may aid in your recovery, we will be happy to answer any of your questions. Nutritional counseling is a special kind of assessment that analyzes certain health requirements in regard to diet and exercise routines. A qualified nutritional counselor is a great asset as part of your healthcare team. You can work together to determine healthier eating habits and related health goals. You can learn about goal setting and how to maintain these goals throughout your life. A dietary assessment is a personal way to make arrangements to improve your health. It can be essential for those who are dealing with certain disorders including: Celiac Disease, Diabetes, Hypoglycaemia etc. The counselor will make certain dietary recommendations based on the patient’s status to help them feel better. We like to help our patients help themselves as much as possible. We inform our patients about activities they should avoid completely or do differently altogether in order to prevent aggravating their unique health challenge. We focus on helping each patient achieve a fulfilling, happy and healthy lifestyle that can encompass their favorite activities. We believe that every patient is an individual. In order to be able to help them attain their health and wellness goals, it is essential to ensure a collaborative effort between their individual efforts and the guidance offered by our professional team. We look forward to working closely with our patients during this process. The staff at Arctic Chiropractic Rehabilitation and Physical Therapy is certified to diagnose, monitor, and treat many medical conditions. Whether you’re experiencing pain and discomfort or were in a sports injury, we’re here to diagnosis the issue and help each patient achieve a fulfilling, happy and healthy lifestyle. An X-Ray is high energy radiation that allows you to examine the inside of the body without making an incision. This can help doctors diagnose, monitor, and treat many medical conditions. An X-ray technician or radiologist will take images exposing a part of the body to a small dose of ionizing radiation to produce pictures of the inside of the body. Therapedic Ultrasound is a healing technique that is often used by physical therapists as a treatment option. The low and high frequency sound waves act by warming muscle and deep tissue. Sound waves are capable of penetrating into the muscles, enabling tissue relaxation to take place. This mechanism occurs as sound waves are transmitted to specific areas of surrounding tissue and vasculature. The warming effect of the sound waves helps to increase the vessel vasodilation and blood circulation to the affected areas. Tissue relaxation is beneficial when treating tight muscles and muscle spasms. Therapedic Ultrasound is commonly used to treat a variety of musculoskeletal conditions such as: strains, sprains and tendonitis. A licensed physical therapist uses an ultrasound machine to administer this deep heating technique. A wand or sound head is pressed gently against the skin, close to the affected area of the injured tissue. The wand is then moved in tiny circular sweeps. Typically, small amounts of gel are used to help the sound waves absorb better into the muscles and the skin.